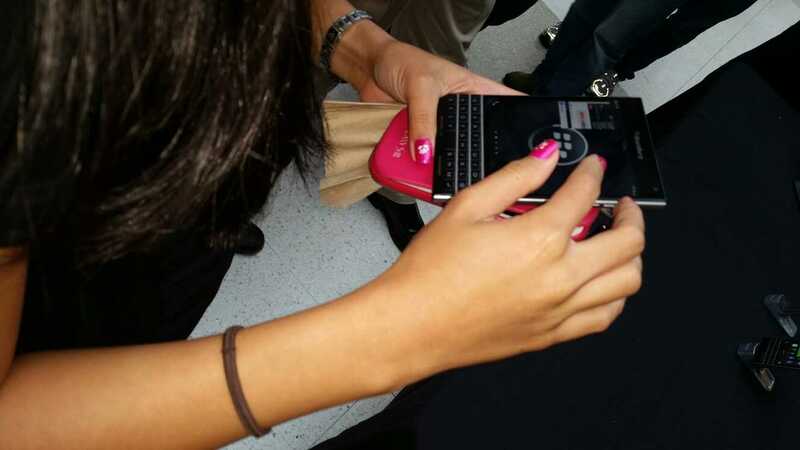 Last Wednesday, October 1, 2014, I was able to get my hands on a BlackBerry Passport for a quick try at a demo booth at my workplace. Surprisingly, I liked the feel of the device in my hands even with its unusual dimensions of 5.04 x 3.56 x 0.36 inches and square touch display, which is wider than what other smartphones and phablets are today. The keyboard size felt right and was easy to type on. Keyboard is a tad bit different from the original BlackBerry keyboards in their previous older phones, with the numeric, Alt, and Shift keys now found on-screen instead. The spacebar is also smaller now since it is squeezed in between the bottom row of letters. To get to the home screen, you would need to swipe up from the middle of the keyboard to the middle of the screen. This would take a little bit of getting used to. Once in the home screen, you can access the apps by swiping left on the screen. I liked how websites looked on the web browser, definitely a huge improvement comparing to how it was on the older BlackBerry Curve or Bold for example. It displays the full desktop version of sites well. I can’t give a comparison to the browser on the Z10 or Q30 however as I haven’t personally tried them out myself on these. One nice thing to point out with using the browser on the Passport is that when you rotate the phone on its side, you can use the keyboard as a scroll bar, so that means you won’t have to cover any part of the screen with your finger while scrolling. 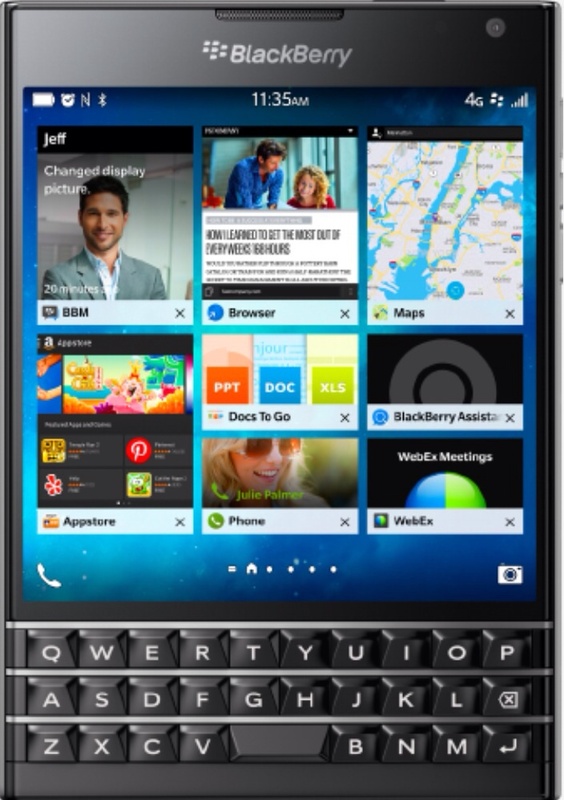 The BlackBerry Passport includes an app called the BlackBerry Hub, which is where your email, SMS/MMS, BBM messages, calls/voicemails, calendar events, social media messages and notifications such as Facebook, Twitter, LinkedIn, can be consolidated in one view for easy access and response. I liked it that it gives you that convenience, except I personally wouldn’t want my personal social media accounts included in the mix. Another built-in app is called the BlackBerry Blend, which allows you to access the contents of your device (emails, text messages, BBM messages, calendar, files) from a computer or tablet with internet access. I didn’t get to try it out though so I can’t say if the interface is good or not. I like how documents, spreadsheets, and presentations display well on the device, so I think this, as well as the email app (BB Hub), will definitely be beneficial for professionals on the go. As accessing some sites on the internal corporate network is required for some professionals, how well the VPN works on the phone is also important. I’m not sure how it is on this phone and I’ve never used it on my old BlackBerrys before either, but it would be great if it works well. I think I’ve tried using VPN on the BlackBerry PlayBook before and I think it worked okay. I think I’d love having this as a work phone, which is exactly what BlackBerry had in mind when creating this phone — made for corporate users. I would still like to keep a separate personal phone though. How about you, do you see yourself using this phone? This entry was posted in Gadgets, Tech, Wireless and tagged BlackBerry, BlackBerry Passport, Phones, Tech.